I am currently recruiting infants for two studies: I need 4-month-old infants for one study (between 15 & 17 weeks) and infants between 3 and 9 months of age for the second study. Both studies are underway and recruitment will continue through 2021. Infants are videotaped during both studies as they watch movies of rotating geometric shapes or toys displayed on two computer monitors. To participate, parents need to bring the infant to Niagara University. Infants are videotaped in our baby booth pictured below. Parents stay with their baby throughout the lab visit. The attention task generally takes less than 10 minutes. The entire visit to Niagara University usually takes less than 30 minutes. 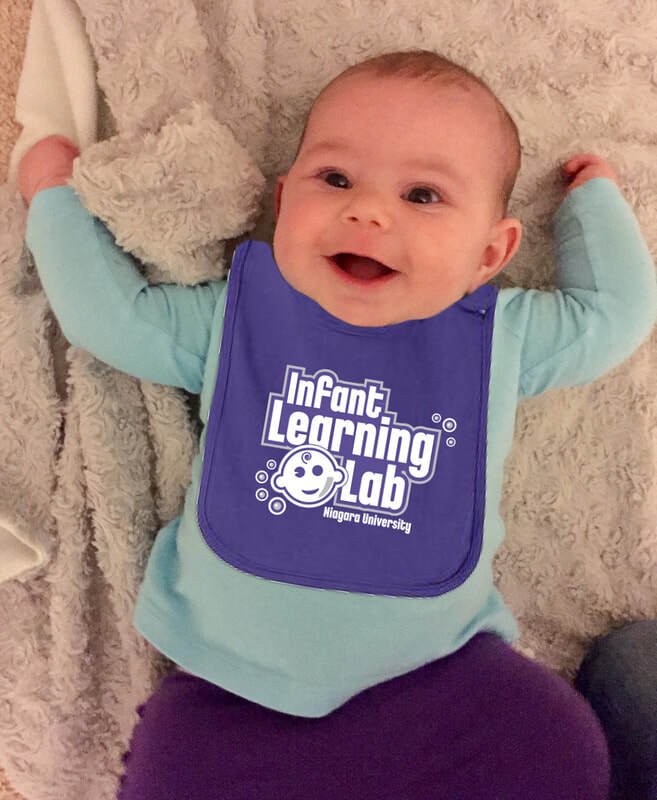 Infants leave the lab with an NU bib and parents receive a gift card to a local grocery store to reimburse them for their traveling expenses. Appointments are scheduled throughout the week including weekends and evenings to accommodate the family's schedule. Contact Dr. Thompson to find out more about participating in one of the studies, dfthompson@niagara.edu.